With Bedrock Linux you are longer restricted to any single Linux distro’s userland. Mix CentOS, Arch, Debian, Ubuntu and more all on the same installation! You can have your cake and eat it too! Want X11 from Debian and Chromium from Arch? No problem! 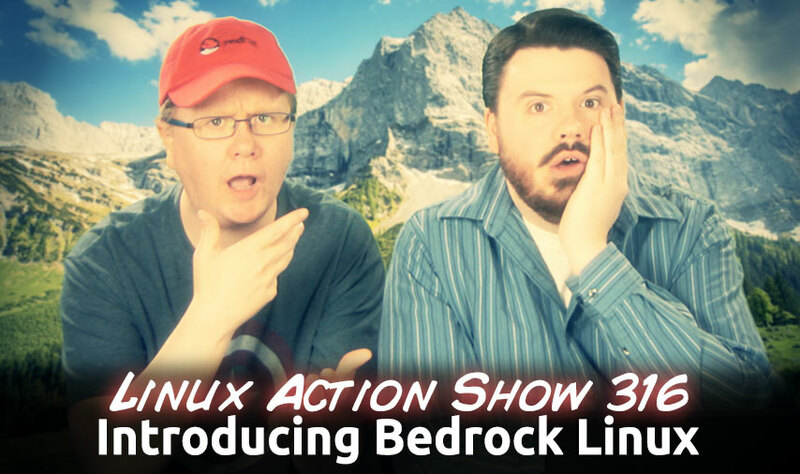 We’ll show you how Bedrock Linux makes it all possible. Bedrock Linux is a Linux distribution created with the aim of making most of the (often seemingly mutually-exclusive) benefits of various other Linux distributions available simultaneously and transparently. If one would like a rock-solid stable base (for example, from Debian or a RHEL clone) yet still have easy access to cutting-edge packages (from, say, Arch Linux), automate compiling packages with Gentoo\’s portage, and ensure that software aimed only for the ever popular Ubuntu will run smoothly – all at the same time, in the same distribution – Bedrock Linux will provide a means to achieve this. _firefox__will be executed as though it were installed locally in Debian. If no command is given, brc will attempt to use the user\’s current $SHELL. If the value of $SHELL is not available in the client it will fail. The audio from the Bedrock Linux presentation at the Ohio Linuxfest 2012 was recorded; however, the video was not. For convenience this is played over the slides here. Sadly, no demos are visible here. The latest flaw is less of a risk than Heartbleed, because it would require hackers to locate themselves between computers communicating, such as over a public Wi-Fi network. A new flaw has been discovered in the GnuTLS cryptographic library that ships with several popular Linux distributions and hundreds of software implementations. According to the bug report, \”A malicious server could use this flaw to send an excessively long session id value and trigger a buffer overflow in a connecting TLS/SSL client using GnuTLS, causing it to crash or, possibly, execute arbitrary code.\” A patch is currently available, but it will take time for all of the software maintainers to implement it. ChromeBrew: 3rd party package manager for Chrome OS. Chromebooks with Chrome OS run a linux kernel – the only missing piece to use them as full-featured linux distro was gcc and make with their dependencies. Well, the piece isn\’t missing anymore. Say hello to chromebrew! q5sys will be giving away two RPi. Check in on the LAS sub thread, and say hi to q5sys at SELF. One on Friday, and one on Saturday. Also catch his talk 5:15-6:15: Puppy Linux Deconstructed: About all the technical wizardry behind puppy which makes it work like it does. +Are Ubuntu Derivatives a Bad Idea?